The holidays have lost their shimmer! There's trouble in Fairyland! Jack Frost is up to his old tricks. Now the fairies are missing their special holiday magic! Will the holly-jolly holidays be changed forever? Or can Rachel and Kirsty help Holly, Stella, Gabriella, and Paige save the day? 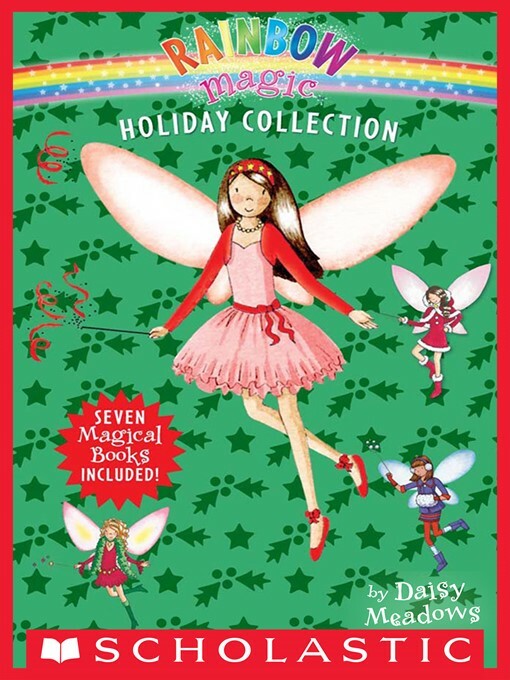 The rainbow magic holiday collection / by Daisy Meados ; [illustrations by Georgie Ripper]. Stella the star fairy -- Holly the Christmas fairy -- Gabriella the Snow Kingdom fairy -- Paige the Christmas play fairy.